These cinnamon buns/rolls are very special, sweet, gooey and irresistible. You fill the dough with sugary pecans, mixed with cinnamon, butter, and cocoa powder, that produces beautiful, buttery layers. These bear no resemblance to anything store-bought. To make the dough: In the bowl of a stand mixer, sprinkle the yeast over the water, allow to bloom for a few minutes, then whisk until smooth. Add the milk, sugar, salt, melted butter, and mix. Whisk in 1 cup of the flour and mix until smooth. Add the egg and the remaining flour to the mixture. 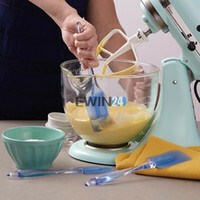 Fit the mixer with the dough hook and knead on medium speed until smooth, 5 to 6 minutes or until the dough feels satiny and smooth. Cover the dough and let rise for 30-40 minutes. To make the filling: In a food processor pulse all ingredients (pecans, butter, cinnamon, sugar, cocoa powder) until smooth, buttery paste. To make the buns: Butter a 9-by-13-inch baking pan. Transfer the dough to a floured work surface. Roll out into a 15-by-10-inch rectangle. Spread the cinnamon mixture all over the dough. Starting at the long side, roll up the rectangle snugly and pinch the seam together. Cut into 18-20 equal pieces. Place the pieces, cut side up, in the prepared pan. Cover and let it rise for another 30 minutes until double in bulk. Bake at the preheated oven 425F for 10 minutes. Then reduce the heat to 350F and bake until light brown, about 10 more minutes. To make the frosting: In a medium bowl, whisk together the butter, sugar, milk, and vanilla. Spread the warm cinnamon buns generously! Lovely pictures, luscious rolls and great quote! PS..Have never seen a white scilla! Those spring photos are so beautiful, so are those cinnamon buns! The flowers are so beautiful and I can smell your bake from here. Thanks for sharing your recipe. This is like wow! I have to try this in near future perhaps after we come back from the trip.